I never did develop the skill of fending off this ineffably inane question politely, and soon learnt to drum up a fictitious composer with a name cunningly associated with the group to whom I was talking - dentists got the Belgian 19th century violinist/composer I.F Noteef, while accountants heard me regale the great works of US jazz virtuoso of the 1920s, Matty Mattix – and a work of similar dubious authenticity – Les Fonds de la maison for architects, Aitch Jivvee for haulage contractors. It all came to a head when I spoke at the surgeons’ annual dinner at Belfast’s Europa Hotel. Deciding that enough was enough, when some inebriated amputator posed the predictable question, I responded with my own. “Do people ask you which limb you most like to amputate?” He was not amused, muttering something about polite questions. I carried on, “If I asked you, out of politeness, what limb you most liked to amputate and, similarly out of politeness, you suggested that a removal of the leg below the left knee was always your favourite, you’d rightly be putting yourself up for a charge, when you next sawed off a lower left leg below the knee, that you were only doing it to gratify your own personal pleasure. Your standing as a surgeon would thereby be diminished”. It’s not a matter of life and death which piece of music I like more than any other, but by forcing me into a similar position, you are diminishing my integrity as a musician. If I say “Bach’s Prelude in G”, then, whenever I play something else; “He doesn’t really like playing that”, and dismiss my performance accordingly. Now there is one question which nobody asks me and which I’d happily answer; “Which is your least favourite musical instrument”. Easy! 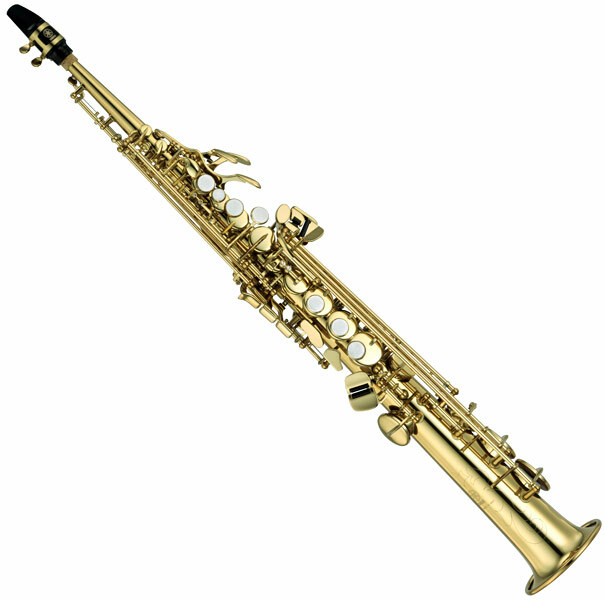 The Soprano Saxophone. I have no logical reason for detesting this instrument as much as I do, and even by professing this hatred I can expect a school of soprano saxophonists to start off on an anti-organ rant. But I can’t help it. Of all the noises known to man, that made by the Soprano Saxophone has to be the most ghastly. 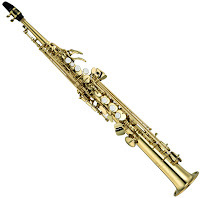 Funnily enough, the Alto Sax is among my most favourite instruments, and I simply adore the Clarinet. But somehow the awful moaning of the soprano sax is like poison to my ears. Hideous, colourless, featureless, bland, grotesque…words can’t describe its effect on me. There are some really nice people around who play the sop sax (the late Anthony Camden told me a lovely anecdote about Kenny G, but I mustn’t repeat it here), and I mean no offence to them when I say they are woefully misguided in their instrument choice. I’m sure some of them play it well. But by the time they do, I’m long gone. More than a couple of seconds’ exposure to it will render me incoherent with rage. Worse is the dreadful combination of a cappella chorus and meandering solo sax. Whatever criminally insane musical reprobate came up with this appalling combination of sounds (and I can’t blame Karl Jenkins for this, much as I’d like to) it should rank as a capital offence. After innumerable CDs in which some fairly good choir intones some almost authentic Gregorian chant while some drug-raddled saxophonist groans out above them in an egotistical burst of self-indulgence, I told my editors that I’d had enough. It got to the stage where all I could imagine when I heard such a din was a requiem mass for a dog where the poor canine was still howling in its death throes under the wheels of a juggernaut outside the church where the choir was singing. Luckily the manic obsession with sop sax mood music seems to be passing, but only today I was forced into uncomfortably close proximity with one. Its ghastly howling, its grotesque parody of sound and its utterly charmless ability to spew out notes were literally a stone’s throw from my ears – and I had no stone to hand. But suddenly it occurred to me how akin it is to the bagpipes. True, it lacks the subtlety of the pipes, the moderating influence of gentle arm pressure on an air bag and the diluting qualities of a drone, but, all the same, there is something distinctly bagpipey about the hollow and direct noise it makes. There is one big difference however. When the bagpipes start there is always ample warning and you can retreat to a safe distance (unless, that is, you are Mendelssohn who apparently loved them so much, he couldn’t get close enough). Sop saxes burst out of nothing and attack innocent people without warning. Given the fact that bagpipes often play out of doors and in the most lovely of places (you can’t walk down Edinburgh’s Princes Street without a piper or two saluting your passing), that also goes in their favour. Perhaps we could insist a similar setting for sop saxes. But I’d suggest a run-down inner-city area as the best setting, then respectable people would be unlikely to pass by unprepared. Certainly not anywhere in the north of Ireland. One question which I am always asked and am happy to answer is, “In all your world travels, which is your favourite country?”. Not a moment’s hesitation or desire to avoid the issue with me here. 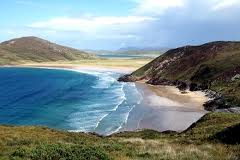 The North of Ireland. It’s a little bit of Heaven on Earth which I’ve never found anywhere else and remains, as yet, unsullied by soprano saxophones. Long may it last! Not a soprano saxophone in sight!